marry, marry, the Quite Contrary. My friend, Marry Awad, owns a bakery called The Quite Contrary and she makes exceptional treats. She sells her delicious bakery items on etsy. 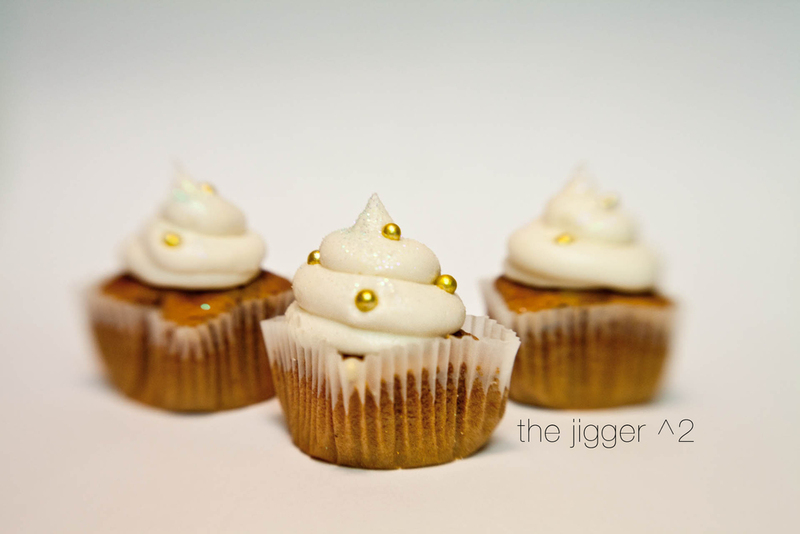 This past weekend she made custom mini-cupcakes in celebration of my first year annivesary to my husband Ariel. It was also his birthday too. Ariel created a whiskey treat with a bourbon icing (The Jigger ^2), while I created a black velvet treat with peppermint icing (The Stinger). She is extremely talented, you should check out her work -- maybe you know someone who will be celebrating a special day --- they arrive in the mail perfectly!